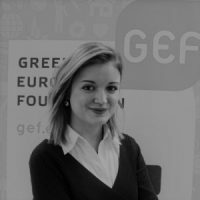 Ioana Banach works as deputy director at the Green European Foundation. Ioana has worked for 10 years in non-profit and political organisations in Romania, Switzerland, the Netherlands and Belgium, specialising in education and capacity building programmes as tools to promote political activism and citizens’ involvement in European democracy. An interview on the recent anti-corruption protests in Romania and where the country stands now over 10 years after its accession to the EU. Green Observatory provides a round-up of what's happening in Europe on a particular topic. We ask experts and politicians about the positions and actions of their country and the Green party. This month: artificial intelligence and robotics.